Based in Connecticut ACE Crushers | Milroy is the premiere source of sales, parts & service for quarry, mining and excavation equipment. They have been providing emergency services to customers in Maine, New Hampshire, Vermont, Massachusetts, Connecticut, Rhode Island, New York, and New Jersey for over 45 years. 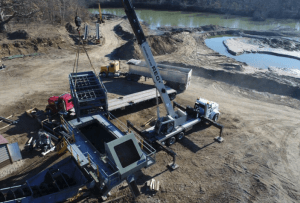 With decades of experience it is no surprise that ACE Crushers | Milroy is known in the industry for selling high-quality, competitive and reliable equipment and parts. 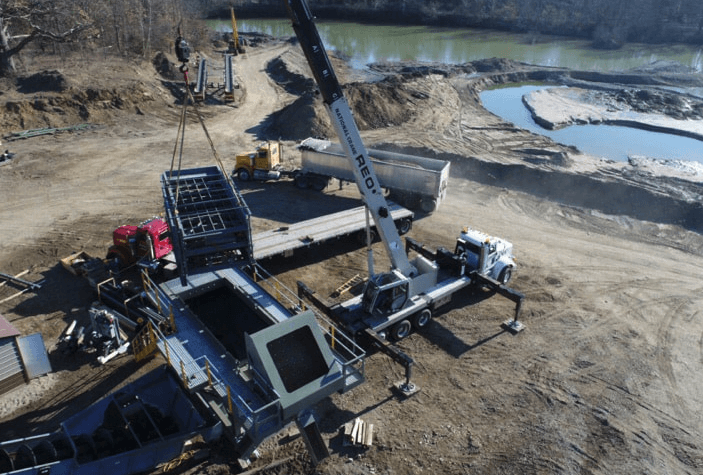 In an ever evolving industry to provide cutting edge solutions ACE Crushers | Milroy sets themselves apart from their competition by specializing in aerial drone surveys and custom 3D design, building and fabrication of custom parts. They can even create complete 3D designs for plant builds, upgrades or modifications! We recently had the opportunity to re-design ACE Crusher’s Website and, while it is incredible cool to experience first hand massive equipment crushing rock into dust (think RockBiter from the movie The Never Ending Story) we were very much obsessed with ACE Crusher’s Aerial Drones with 4k camera’s. These drones serve many different purposes, including using specialized software to survey land to ultimately create topographic maps. These maps can be used by customers that are building a plant and want to know the best place to build their structures or if a customer is looking to remodel or add onto their existing plant. A video of ACE Crushers | Milroy drone survey can be watched here. In addition to survey’s these cameras can allow quarry operators to remotely view rock crushing if they are unable to be right in the action. To learn more about all the equipment and services ACE Crushers | Milroy offers, including specialized Aerial Drone Support , 3D Design of plants and Custom Fabrication of parts please visit their website www.AceCrushers.com.